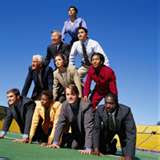 As competition gets stronger day by day, the word leadership assumes many more meanings. One of the strongest and the lasting pillars of entrepreneurship is leadership. It’s not just enough to be a manager but also a leader, to be an entrepreneur. To quote Robert Kiyosaki’s words “On the right side of the cash flow quadrant leadership is not an option”; it is mandatory. Now let’s analyze what makes a leader? 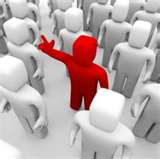 The dictionary defines a leader as the ‘One who is in charge or in command of others’. But we all know that a leader should be multi faceted to get his work done. May be, in the 18th or 19th century, the most charming and authoritative person was called the leader. The king was usually the one who led because he’d got power in him. But we know, in the 21st century we seldom respect a person who is an authoritarian, leadership is no longer commanding power – it’s the ability to socialize and get things done in the quickest time possible. A Leader is a person who mostly initiates something. He needn’t be always correct in judging the best possible way to do something but is the one who spreads enthusiasm around, cheers others and makes them all feel important enough, to get the work done in the best way possible. To be a leader in any field, the quality of education or a lofty degree is not the benchmark; it’s the ability to handle people that matters. By now, most of us would have identified our area of functioning. Instead of trying to become a manager in that field, try to become a leader in it. Show others the way and spread the cheer around. Volunteer to do tasks and make sure the right kind of resource is provided to the right person. The payoff to you is directly proportional to the work you delegate to people. It’s the function of a leader, to give a person the work that he is best suited for. As we all know, in a locale, any field cannot have more than 10% leaders, which means we all cannot simultaneously be leaders. Some one will have to follow orders, work without lifting their head and meet the deadlines. In any enterprise, there’ll be some who lead and many others who follow. The probability is that the followers will remain followers for their entire life. If you feel you’re not going to get to that elite 10% someday, it’s better to quit and take up some other initiative. Our idea is to render service to mankind in the best way possible. It is possible for all of us to be leaders because nowadays we have plenty of opportunity. Wealth is multiplying faster than ever in history. Newer firms and organizations are coming up everyday. People are getting rich faster. All we need is to stay focused and improve our skills as a leader. We all have a leader in us, we are all born geniuses – the only hitch is that mostly we do not realize our vocation. If your interest is in automobile engineering and you have tons of dreams related to mechanics and automobile; are you not wasting your time and energy by taking up a job in the software industry? It would be easier if we kept in mind the following traits of a leader. He is the one who is Responsible, Enthusiastic, Disciplined, Assertive, Energetic and a Legend. Power to influence...Not just in the papers….